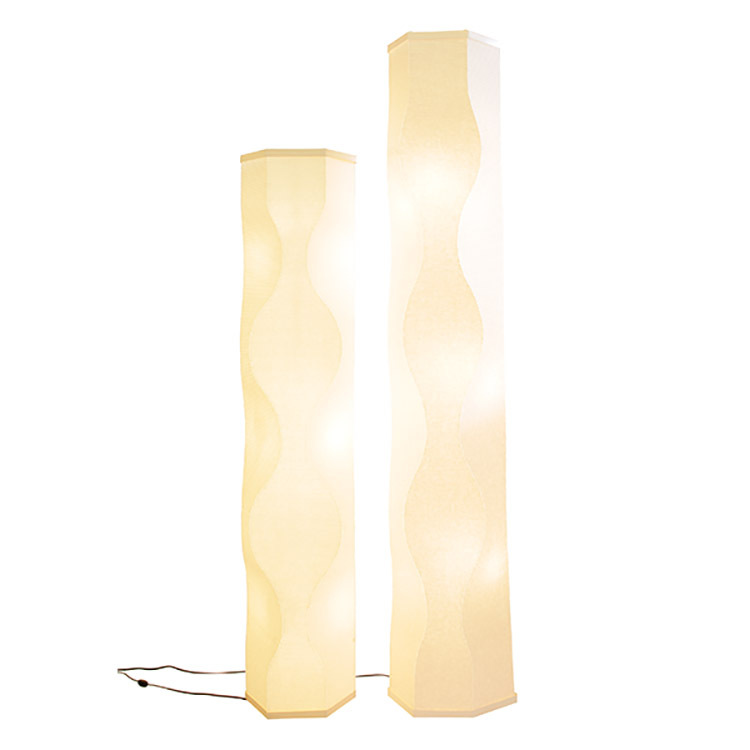 Handmade and signed by designer Roland Simmons, each ethereal Lumalight Bubbles lamp (so named for its rounded undulations) offers a beautiful piece of illuminated sculpture for your space. Constructed from a specially produced, durable paper uniquely suited for light emission. Each lamp arrives unassembled, rolled up in a box; to assemble, unroll flat, zip up the seam, and secure with the top & the base – ta da! On/off switch controls light from three up-to-40-watt bulbs, first three included.